The Berne Convention seeks to conserve wild fauna and flora and natural habitats, especially those species and habitats whose conservation requires co-operation of several States. The UK is a signatory to the Convention and meets its obligations by means of the Wildlife and Countryside Act 1981 as amended and by the equivalent devolved legislation. The European Community is also a signatory to the Convention. It meets its obligations by means of the Wild Birds Directive and the Habitats Directive. These directives provide for the largest network of protected sites in the world - Natura 2000 - made up of Special Areas of Conservation (SACs) and Special Protection Areas (SPAs). The Wild Birds Directive provides wide ranging protection for Europe's wild birds. It identifies 194 species and sub-species of wild birds as endangered species requiring special conservation measures. Member states are required to create Special Protection Areas (SPAs) to protect endangered wild bird species. SPAs form part of the Natura 2000 sites. They are designed to safeguard the places where birds live, and to protect them from disturbance. The Wild Birds Directive also bans activities (with some limited exceptions- more information here) that threaten wild birds such as taking bird eggs, destroying bird nests, capturing or deliberate killing of birds or trading in live or dead birds. To halt loss of biodiversity, it also limits the number of bird species that can be hunted, and prescribes how hunting can be carried out. The provisions of the Wild Birds Directive are transposed into national law by means of Part I of the Wildlife and Countryside 1981 as amended and the Habitats Regulations 2010, and equivalent devolved legislation. 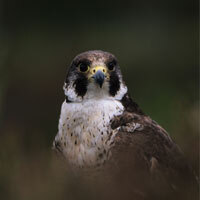 A wide range of schemes have also been adopted to protect wild birds, including the UK Biodiversity Action Plan, bird monitoring schemes and bird conservation research. The aim of the Directive is to maintain or restore to favourable conservation status the habitat types and species listed in the Annexes to the Directive. the habitats for species listed at Annex II. Every 6 years Member States must report on their implementation of the Habitats Directive (Article 17). The report includes assessments of the conservation status of each of the habitat types and species listed in the Annexes to the Directive. The Habitats Directive is transposed into national legislation for England and Wales by the Habitats Regulations 2010 as amended. Check your local position if you live in Northern Ireland and Scotland.